The Real Book series isn't just for jazzers anymore! 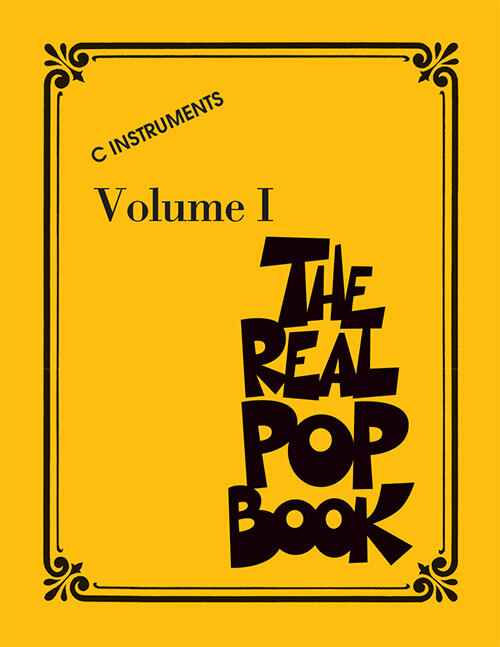 This collection features over 200 pop mainstays of modern repertoire laid out in the favored Real Book style. Songs include: Addicted to Love • All She Wants to Do Is Dance • American Pie • Bad Day • Billie Jean • Bohemian Rhapsody • Bridge over Troubled Water • Cat's in the Cradle • Clocks • Dancin' in the Moonlight • Every Breath You Take • Eye of the Tiger • Good Riddance (Time of Your Life) • Hallelujah • Hey Jude • Hey, Soul Sister • Hotel California • I Will Remember You • Imagine • Jar of Hearts • Leaving on a Jet Plane • Let It Go • Losing My Religion • Love Shack • Piano Man • Roar • Rolling in the Deep • Some Nights • Start Me Up • Summer of '69 • Tears in Heaven • You're So Vain • You've Got a Friend • and more! Plastic comb binding make sure the book lays flat while you perform.